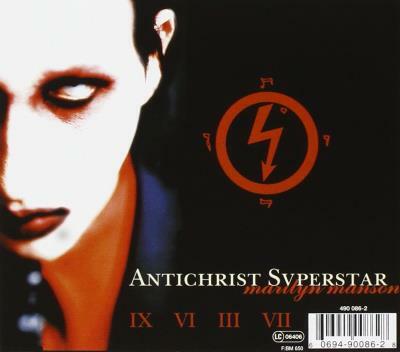 Antichrist Superstar is the name of the CD that launched rock musician Marilyn Manson into stardom. Based simply on the title of the CD his puppet status is secure but that would be an understatement for Brian Hugh Warner (Marilyn Manson). He has gone to extreme lengths to glorify the supreme leader of this Earth - Satan. 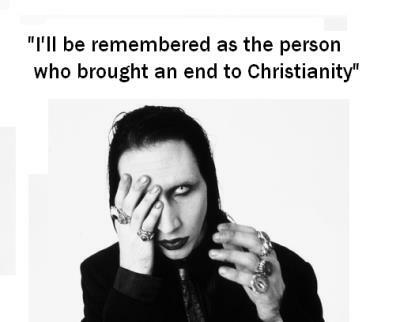 In addition to his well documented anti-God / pro-Satanic music he routinely uses Satanic shock value to sell records and more so influence and introduce young impressionable minds to the dark side. In the video below he tears pages out from the Bible and eats them. I think you get the point. 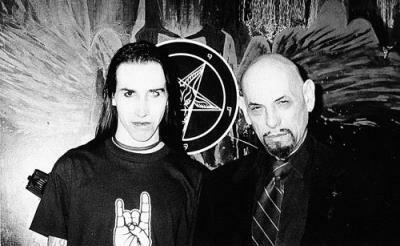 Marilyn is member of the Church of Satan and was friends with its founder Anton Lavey (see photo above. He is an unapologetic Satanists and magician. 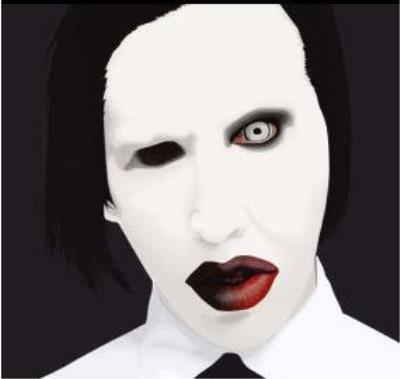 Notice how Marilyn Manson does the EXACT same one eye symbolism as other "mainstream" artists and entertainers. You see, they all follow the same Grand Architect (Satan), some are just not as flamboyant about is as the Antichrist Superstar.